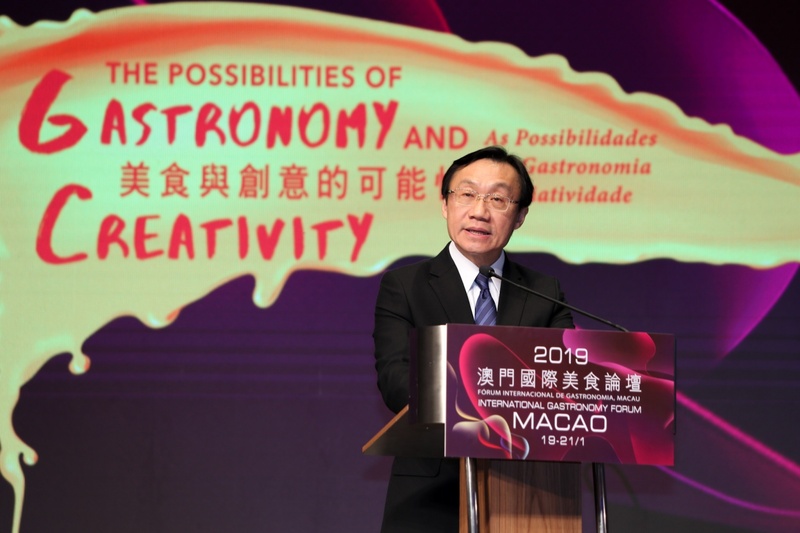 The “International Gastronomy Forum, Macao 2019” opened today (January 21) in Macao gathering a record number of participant UNESCO Creative Cities of Gastronomy from around the world, in addition to cities from other creative fields and candidate cities from China, for discussions under the theme of “The Possibilities of Gastronomy and Creativity”. This year on its third edition, the forum organized by Macao Government Tourism Office (MGTO) is an important platform for Macao to interact with other cities and develop as a Creative City of Gastronomy. Secretary for Social Affairs and Culture of the Macao SAR Government, Alexis Tam, presided over the forum opening ceremony, joined by the Secretary-General of China National Commission for UNESCO, Qin Changwei, along with the Senior Programme Specialist of Cultural Policies and Development of Culture Sector for UNESCO, Denise Bax. Also present at the opening ceremony were the Chief of Office of the Secretary for Social Affairs and Culture, Ip Peng Kin, MGTO Director Maria Helena de Senna Fernandes, the President of Institute for Tourism Studies, Fanny Vong, the Mayor of Phuket City, Somjai Suwansupana, the Vice President of China Cuisine Association, Bian Jiang, along with representatives from 21 Creative Cities of Gastronomy from different parts of the globe, together with representatives from four Creative Cities of Design and one Creative City of Media Arts, as well as four candidate cities in the field of Gastronomy, Literature, Crafts and Folk Art from China. Delegates also included professionals from related industries in Macao, among others. “I am also delighted to observe a closer public-private partnership among Macao stakeholders in the preparation of this year's event and other extended activities. I am particularly pleased that, for the first time, this forum factors in an opportunity for our residents and visitors to experience the diversity of the modern gastronomic cultures with the outdoor culinary demonstration performance of our fellow member cities held over the past weekend,” Alexis Tam added. At the opening ceremony, MGTO unveiled its new promotional video named “Macao designated as UNESCO Creative City of Gastronomy”. Inspired by the cinematic language of classic movie trailers, the video showcases the city’s gastronomic culture, its people and places, to depict Macao as a Creative City of Gastronomy. The forum continued with a keynote presentation by acclaimed chef André Chiang, whose creativity and unique cooking style have made him the first Chinese origin chef bestowed with the Lifetime Achievement Award from Asia’s 50 Best Restaurants Awards in 2018, and who has been appointed Culinary Director of the upcoming Sichuan Moon restaurant at Wynn Palace Cotai. 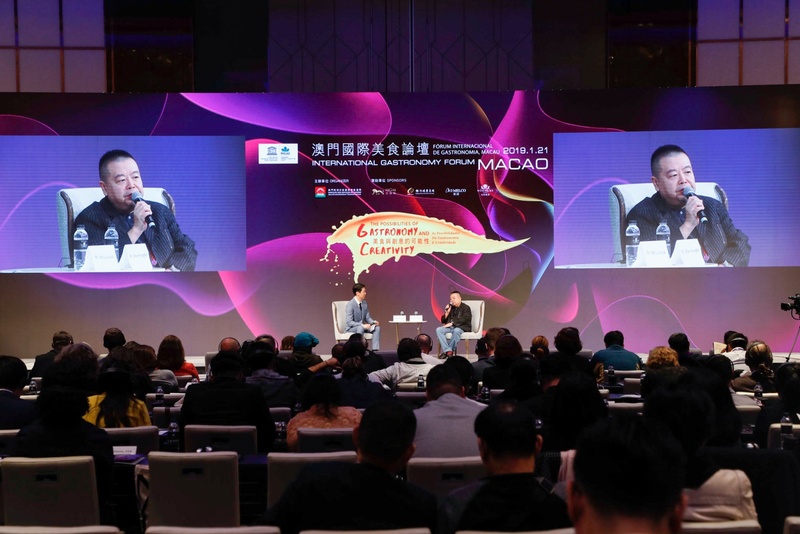 Delegates to the forum also heard a keynote conversation with gastronomy expert Shen Hungfei, chief Consultant of the popular gourmet documentary “A Bite of China”, who is also a Galaxy Macau Food and Beverage (F&B) Consultant. A UNESCO Creative Cities of Gastronomy panel session carried on the day with representatives from Macao, Parma, Gaziantep, Chengdu and Bergen sharing their experiences and conducting exchanges on how each city is embracing the opportunities as Creative Cities of Gastronomy to formulate new development models and forge international cooperation. MGTO Director and Macao Special Administrative Region (Macao SAR) focal point to the UNESCO Creative Cities Network, Maria Helena de Senna Fernandes, elaborated on the experience of Macao over the past year and the plans ahead in developing as a Creative City of Gastronomy. The forum sessions came to an end with a National Geographic special session focused on sustainable practices of the F&B sector concerning food waste reduction and other related topics in a discussion with representatives from Macao operators in the field, namely from the Institute for Tourism Studies Educational Restaurant, Sands China, Galaxy Macau and the Root restaurant. MGTO Deputy Director, Cheng Wai Tong, also joined the panel. The special session is the prelude of a project under development by National Geographic in partnership with MGTO, aiming to locate, support and promote sustainable practices in the F&B sector in Macao, to be showcased soon as stories in video and articles format produced by the media group. The participant 21 Creative Cities of Gastronomy in Macao for the forum are: Bergen (Norway); Buenaventura and Popayán (Colombia); Burgos and Dénia (Spain); Chengdu and Shunde (China); Ensenada (Mexico); Gaziantep and Hatay (Turkey); Jeonju (Korea); Östersund (Sweden); Panama City (Panama); Paraty and Florianópolis (Brazil); Parma (Italy); Phuket (Thailand); Tsuruoka (Japan); Tucson and San Antonio (USA); and Zahlé (Lebanon). Cities from other creative fields from China attending the event are: the four Creative Cities of Design of the country, namely Beijing, Shanghai, Shenzhen and Wuhan, and the Creative City of Media Arts, Changsha; plus two candidate cities in the field of Gastronomy, Huai’an and Yangzhou, one in Literature, Nanjing, and one in Crafts and Folk Art, Weifang. 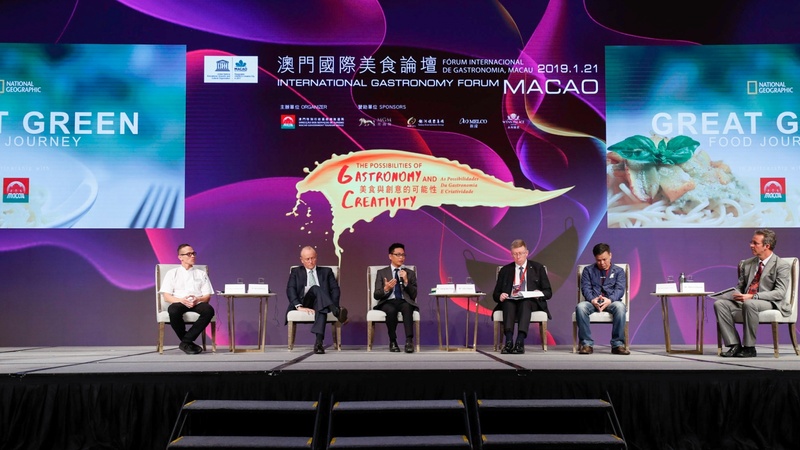 The International Gastronomy Forum included for the first time this year a Creative Cities of Gastronomy Cooking Show open to the public, in celebration of the 20th anniversary of the establishment of the Macao SAR. Young chefs from all over the world and celebrated chefs from Macao prepared their culinary creations on stage and shared their passion and culture with Macao residents and visitors at Anim’Arte NAM VAN. 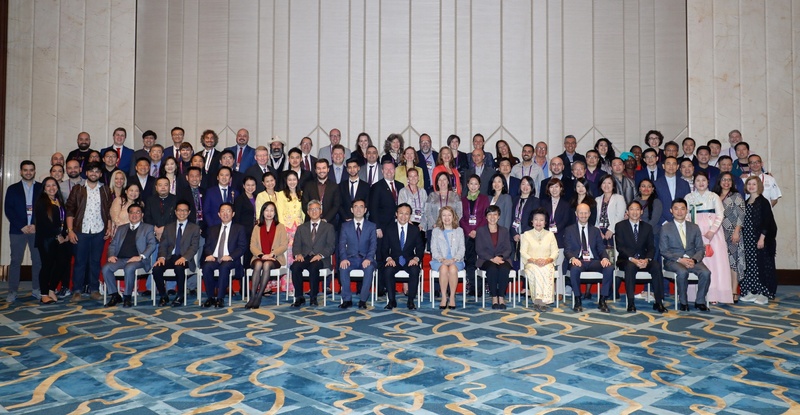 During their time in Macao, representatives from Creative Cities of Gastronomy also conducted two internal meetings, while participant China Creative Cities also had a meeting. In addition, delegates had the opportunity to tour the city, including local markets, visit some of the new infrastructures and events in Macao for an in-depth experience of the destination’s food culture and city development. 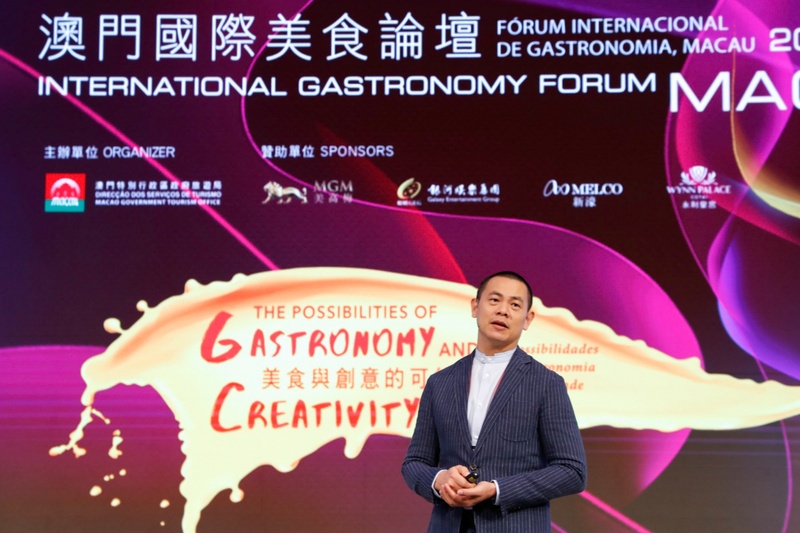 First launched in 2016 when Macao was preparing the application to join UNESCO Creative Cities Network, the International Gastronomy Forum aims to be an annual gathering providing a valuable platform for exchange and exploration of collaboration initiatives between Macao and other Creative Cities of Gastronomy. 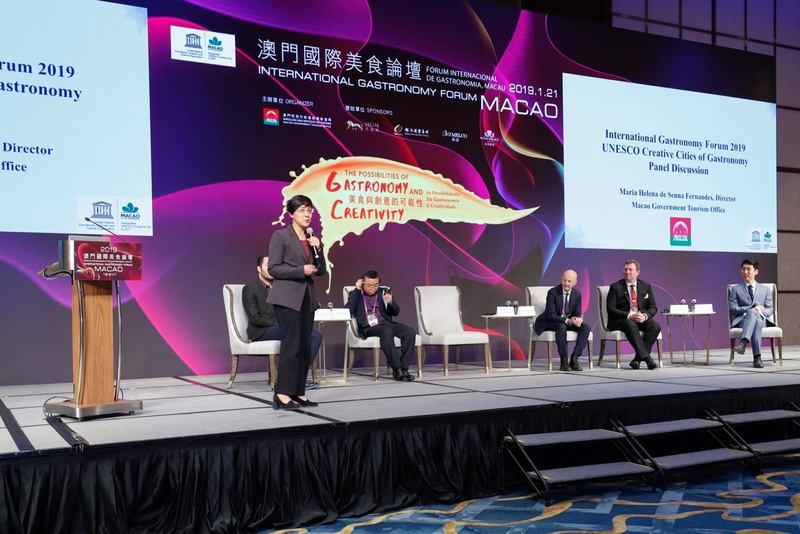 With the advantage of Macao’s tourism infrastructures, the city’s experience in organizing major events and the attraction of the unique east-meets-west cultural heritage, MGTO wants to transform the forum into a new highlight event in the calendar of the network. The UNESCO Creative Cities Network was created in 2004 to promote cooperation with and among cities that have identified creativity as a strategic factor for sustainable urban development. The fast-growing network is formed by a total of 180 member cities from 72 countries in the seven creative fields covered by the network (film, music, literature, media arts, design, gastronomy, crafts and folk art), including 26 cities in the area of gastronomy.